Jennifer Catcheway went missing on her birthday in June 2008. Ten years later, her family reflects on her life, the ongoing search for answers and the hope that keeps them going. A European marble birthday cake dressed in white and baby-blue frosting chills in the Catcheway's basement freezer. "Happy Birthday, Jennifer" the icing reads. "Gone but never forgotten." Upstairs, in the family's dining room, photos of a happy-go-lucky toddler and teenager plaster the walls. A chrome, ornamental letter "J" hangs next to the wooden clock on the wall. It's been 10 years since Jennifer Catcheway went missing but her presence remains front and centre. "She may not be with us but she's very much alive in us," her mother Bernice says. "I carried her for nine months, we raised her for just about 18 years. How can one forget? You can't forget and I never want to forget." Admittedly, it's the first time since her daughter's disappearance she has brought herself to buy her a birthday cake. June 19, Jennifer's birthday, also marks the day she disappeared. Bernice was in this same kitchen 10 years ago, preparing to throw her daughter an 18th birthday dinner. Steaks were marinating and the family was ready to celebrate. Jennifer had even phoned that morning, excitedly reminding her mother about the big day, she said. That was the last time Bernice spoke to her. Jennifer never showed up for her birthday party that night, and 10 years later the case remains unsolved. "I just wish things were different. I wish she had a chance at life," Bernice said. "She would've had a chance to have a family, be married, because she would have been 28 now." In the backyard of the family's Portage la Prairie home, Bernice and her husband are working to prepare for another party of sorts: an annual fundraiser to raise money to aid their summer and fall search efforts. They have pitched a tent for a neighbourhood barbecue and silent auction. This year, there will also be a fireworks show, and the Portage la Prairie mayor and council and First Nations leaders in attendance, marking the anniversary, she said. She admits it's hard to believe it has been 10 years without her daughter. Time has not healed much. "It's very saddening sometimes and very lonely," she said. "Sometimes something just triggers my memory of her, a smell or something somebody says, you know things like that — moments, memories." She still envisions Jennifer playing with her two older sisters in the family's yard, which backs onto the elementary school she attended. Today, two spruce trees planted the summer she vanished stand tall, in her memory. "A lot has changed over the years," Bernice said. "It's affected us." Her husband Wilfred has suffered two heart attacks and several anxiety attacks. As he holds his wife's hand in the back yard, it's clear their love and marriage is strong, but the loss of Jennifer has created division among their other adult children. "My daughter said, 'Mom, you died 10 years ago. When Jen died you died. We no longer have you as a mom,'" Bernice said, adding there is truth to that. Most days after work, Bernice and Wilfred are out searching. 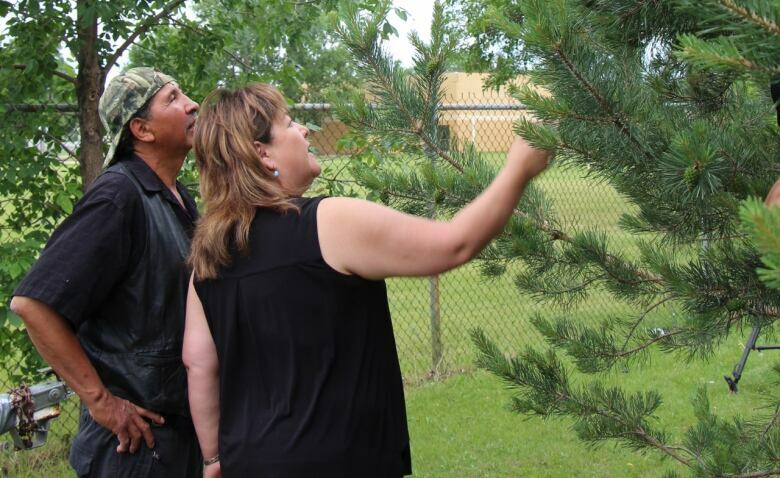 They've combed forests, fields and nearby First Nations. In recent years, the family teamed up with Drag the Red, a Winnipeg-based grassroots search team that has helped them comb bodies of water with hooks and GoPro cameras. "By the time I'm home from work my husband has the truck loaded with shovels, picks, rubber boots, mosquito repellent and off we go right from work," she said. "There's no time for my children or my grandchildren … I know I have to find a balance." Photographs last placed Jennifer at a house party in Grand Rapids, Man., about 418 kilometres north of the family's home. Jennifer was last seen getting into a truck and was reportedly dropped off somewhere along rural Highway 6, her mother said. The 18-year-old's remains have never been found but RCMP have ruled the case a homicide. "There's a difference between missing and murdered," Bernice said. "When somebody's missing that means they're lost, they're somewhere.… There's a big difference not knowing where Jennifer is." While thoughts of what happened to Jennifer play over and over in her mind, Bernice says her pursuit for justice has faded. These days, she and her husband just want closure. "It's not 'Who did it?' or 'What happened?' It's 'Let me have her,'" she said. "I'd do anything to find her." What hasn't seemed to change over the last decade is the Catcheway family's relationship with Manitoba RCMP. It's been broken from the start, the parents say. When Bernice first visited the local RCMP detachment to report Jennifer missing in June 2008, she alleges an officer told her to "give it a week" and that her daughter was 18 and probably "on a drunk." Bernice said she and other relatives continued to visit and contact the local detachment, but officers did not take a statement until at least five days later. From that first day, she and her husband took matters into their own hands. They made and delivered posters, collected surveillance video and have conducted dozens of their own interviews with people over the years. Most of the evidence they have collected on the case they have shared with RCMP and filed in storage in California, Bernice said. As of today, the family does not even know the detectives assigned to her daughter's case. "There's no relationship," she said, adding the detective who had been tasked with her case was moved to another project. "I haven't as much as spoken to the investigators that are on her case now. That's how much communication we have. I don't know him, never met him, never spoken to him." 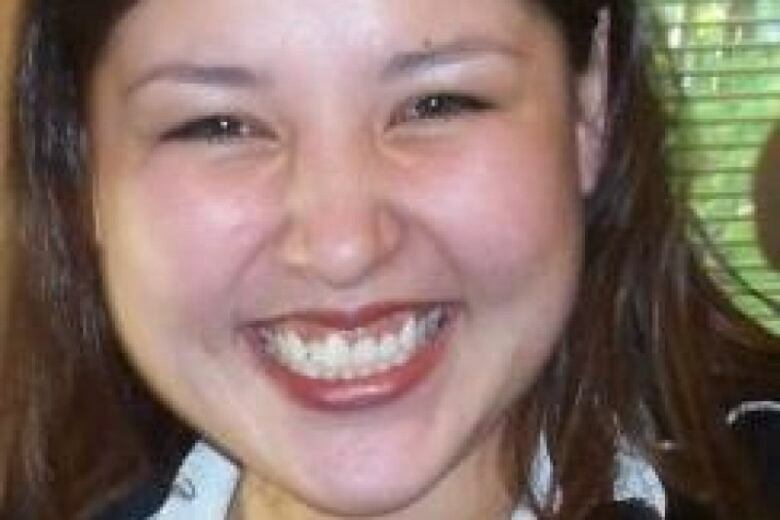 In an email, a spokesperson for Manitoba RCMP said "the RCMP investigation into the homicide of Jennifer Catcheway is ongoing and assigned to a team of investigators within our Major Crime Services unit." It goes on to say, "the new team is reviewing the case and will continue to investigate, which will include contact with the Catcheway family." The spokesperson confirms the new team of detectives, who were tasked with the case in November 2017, has not reached out to the family but did not elaborate why. "There are a number of variables that go into how and when we communicate with a family, and we work on that directly with the family … the investigation is not being ignored." "I feel like the information on Jen is just collecting dust," he said. Given how he and his family feel they've been dismissed over the years, Wilfred can't help but wonder whether systemic racism within police forces — and society in general — is why so many cases involving missing and murdered Indigenous women remain unsolved. "The time frame is so important when somebody goes missing. The police have to act on it right there and then it's so crucial," he said. Both hope more transparency and communication between police and families is something that comes from Canada's national inquiry into missing and murdered Indigenous women and girls. "We have to have open dialogue," he said. "Whoever is on the individual's case, and you're assigned to this family, then communicate with the family … we should be on the same page." For now, as they prepare for the 10th anniversary of their daughter's disappearance, it's the faith and hope that they will bring their daughter home that keeps them going. "I don't need them [the police], that's what I feel like," Bernice said. "We're on our own. We'll find our daughter." Jill Coubrough is a video journalist with CBC News based in Winnipeg. 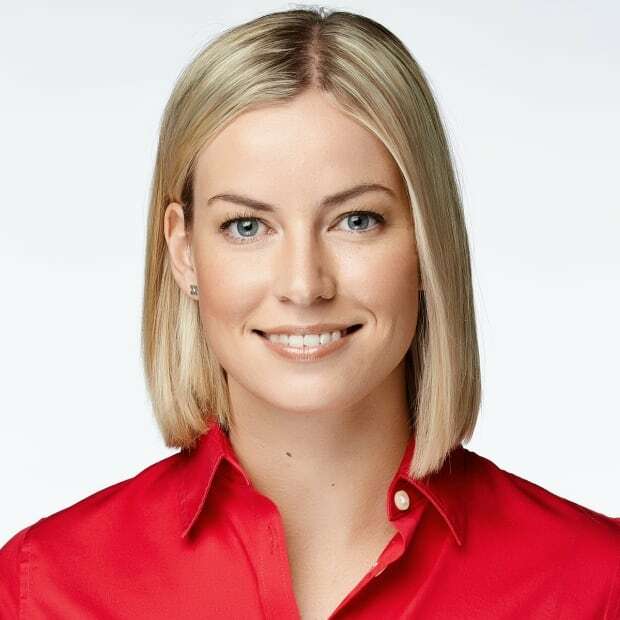 Before joining CBC Manitoba, she worked as a reporter for CBC News in Halifax and an associate producer for CBC's documentary series Land and Sea. She holds a degree in political studies from the University of Manitoba and a degree in journalism from the University of King's College in Halifax. Email: jillian.coubrough@cbc.ca.